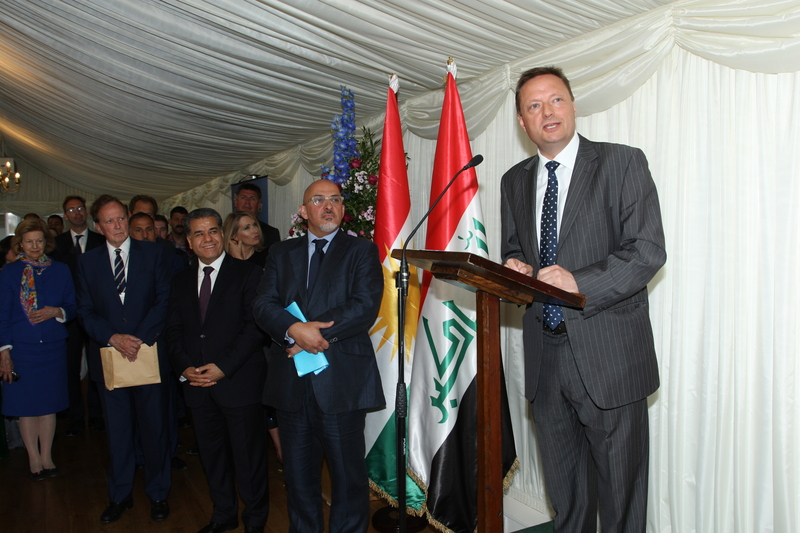 Jason joined Nadhim Zahawi MP in hosting a Parliamentary Reception for Mr Karwan Jamal Tahir Kurdistan Regional Government High Representative to the United Kingdom. Jason is the Chairman of the All Party Parliamentary Group for Kurdistan. Jason served on Operation Warden, the No Fly Zone over Northern Iraq, during his RAF Service. He returned to Erbil 2 years ago. Among the guests at the Reception were Falah Mustafa, Head of Department of Foreign Relations, Tobias Ellwood MP, FCO Minister for the Middle East and North Africa and Sir Adrian White OBE, Chairman of Biwater.